Siard Arabians Horse Stud. Our arabians horses breeding program has been established 20 years ago, in 1998, with the passion and love for the Arabian Horse. After several breeding years, studying pedigrees, meeting people, travelling around, showing at National and International levels, we have been attracted by the Straight Egyptian lines which represent our ideal of the Arabian Horse. The horses they bred are the source, the « Asil », they represent the traditions and the magical of the arabia desert. Three beautiful Straight Egyptian mares, MAGIC FARESSA, CF JADORE, AL SHAH SAMIRA, belong to our breeding farm. We decide to bring fresh blood into our breeding programm in 2016. We have chosen a Straight Egyptian stallion, Blue list pedigree, of high quality and select pedigree, but still with contact to our proven basic. We are more than happy to welcome MAS BILAL ( AL ADEED AL SHAQAB X SALOMEH), one of the rare daughter of the beautiful stallion ANSATA EL SALAAM. Lineage, a solid building, good character, vitality, beauty and nobility are of utmost importance for us. An the Straight Egyptians offer an optimal basis to develop these traits. « The more you look further into the past, the more you shall see into the future ». At Siard Arabians, our Horses breeding in our Lodge Farm's leading Arabians Stud in the France / Breeding Program / sale list, our goal is to breed outstanding typed arabians with all overal great quality, movements and character, just the "perfect" Arabian wich is a family horse but also can compete successfully in the showring. All of our horses live outside in paddocks and fields. We focus on the well-being of our horses: stallions, mares, youngsters live in groups. Youngsters are manipulated from their start and are therefore very close to humans. We also focus a lot on adequate nutrition in relationship with their needs. 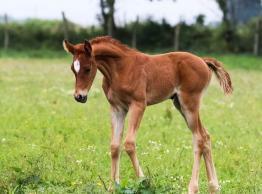 Our goal : breeding foals of high quality who would become your next horse, progeny our breeding programm is your success! Nobility comes with heredity but also with talent! At Siard Arabians, we have always put more emphasis on quality rather than quantity. 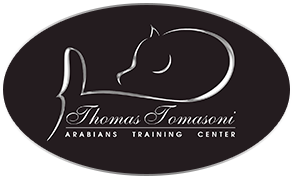 We invite you to warmly come and visite , by appointment, our wide selection of genuine desert bred arabians.